Word Search containing English vocabulary associated with Guy Fawkes and the Gunpowder plot of 1605. 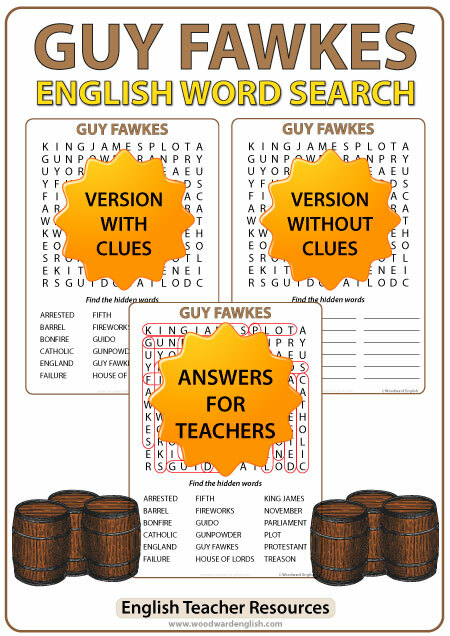 A Word Search containing English vocabulary associated with Guy Fawkes and the Gunpowder plot of 1605. The words that are included are: arrested, barrel, bonfire, catholic, England, failure, fifth, fireworks, Guido, gunpowder, Guy Fawkes, House of Lords, King James, November, parliament, plot, protestant, treason. One worksheet is without clues. 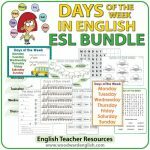 There are lines (spaces) where students have to write the vocabulary in English that they have found. 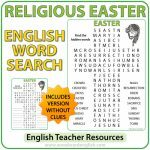 This worksheet is good for students that have already seen this topic or are normally fast finishers. 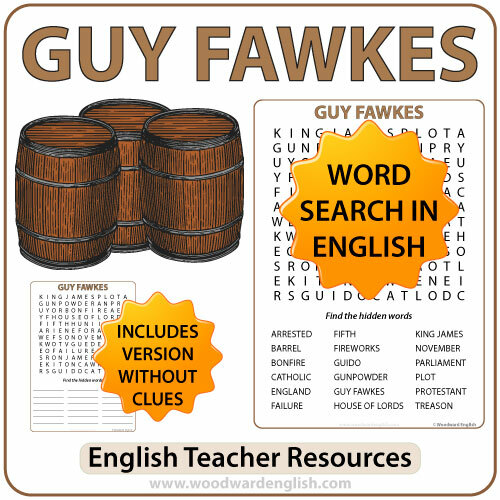 Be the first to review “Guy Fawkes Word Search in English” Click here to cancel reply.